Good afternoon! I hope you are having a great day! 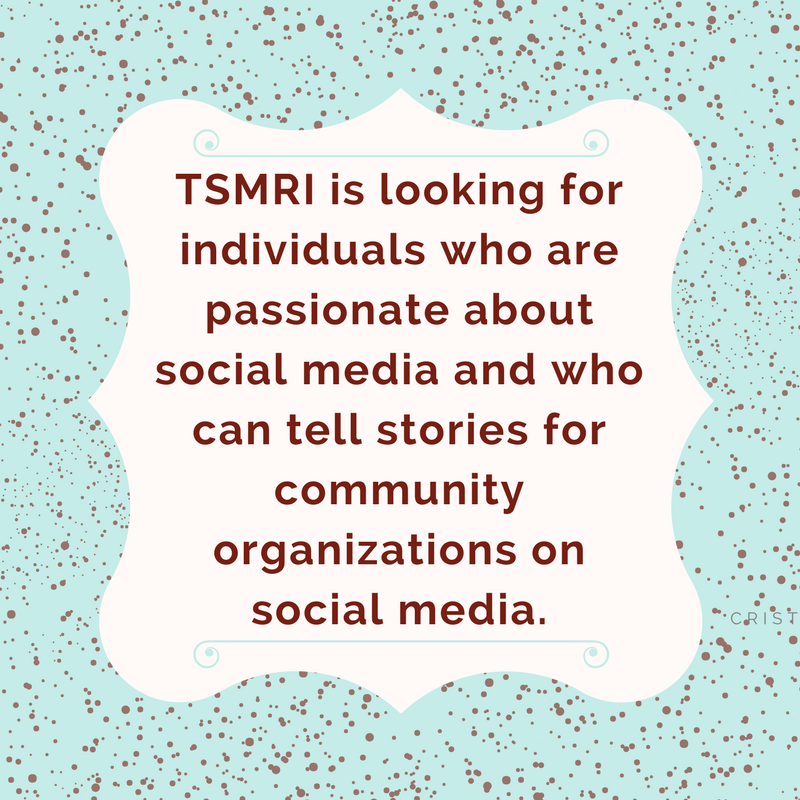 The organization is looking for individuals who are passionate about social media and who can tell stories for community organizations on social media. 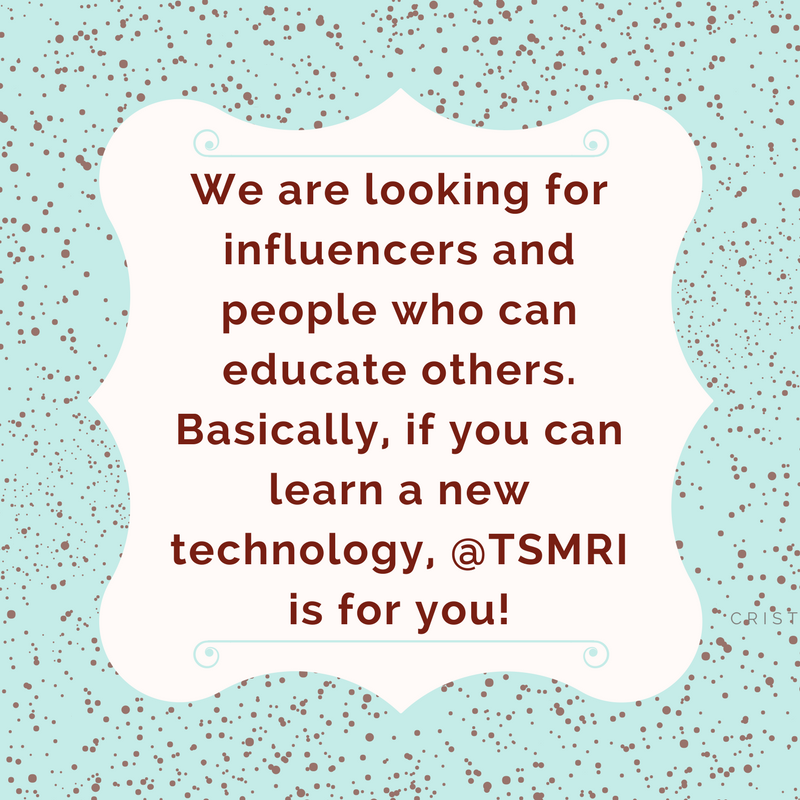 We are looking for influencers and people who can educate others. 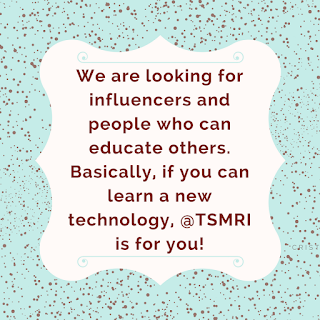 Basically, if you can learn a new technology, TSMRI is for you! 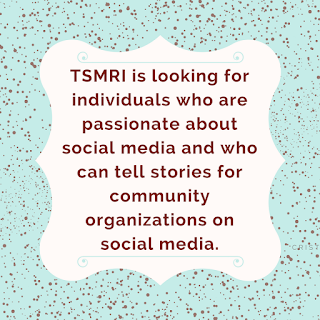 During the interviews, our Social Media Coaches suddenly transform inform into seasoned professionals as they interview their peers for coveted positions as a member of the Texas Social Media Research Institute. Through this experience, the students become part of a research project and gain valuable skills as a social media content generator. 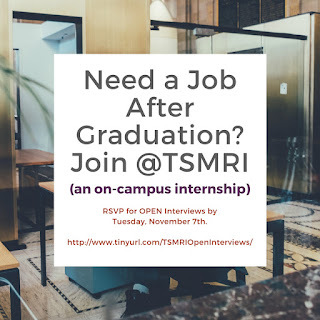 Through this position, they also get to network with other social media professionals and learn new social media techniques. This experience is one-of-a-kind and it provides an opportunity for students to participate in an internship without leaving campus (especially if they do not have transportation). We had amazing interviews and we cannot wait to announce our newest Social Media Coaches!